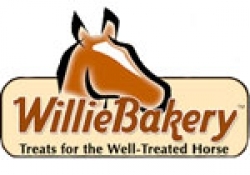 Willie Bakery, established in 2003 by Linda Gowder, Baker and Shelly Mynatt Lawson, Avid Equestrian.Willie Bakery makes delicious and nutritious horse and dog treats that your animal friends will really enjoy. Each treat contains the very best ingredients that will act as tasty and healthy supplements to your friend’s regular diet. Best of all, your animal will love these delicious treats anytime. Order online today!